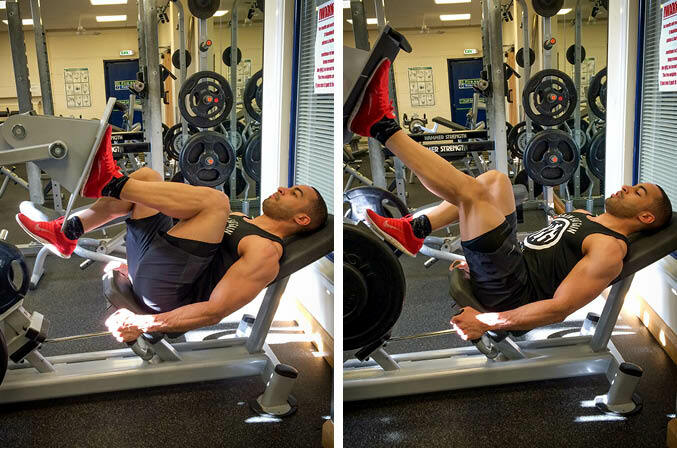 The Single Leg Press is a lower body exercise that primarily targets the quadriceps, but also works the calves, glutes and hamstrings. This is a compound exercise which is well suited to beginner lifters. Position your feet about shoulder width apart. Extend your legs until they are almost straight, and then take one leg off the machine, avoiding locking your knee out. Bend your leg, bringing the foot plate towards you slowly until there is a 90 degree bend in your leg – go further if you can. Then extend your leg back to the starting position, keeping your knee in line with your toes and pushing through your heel. 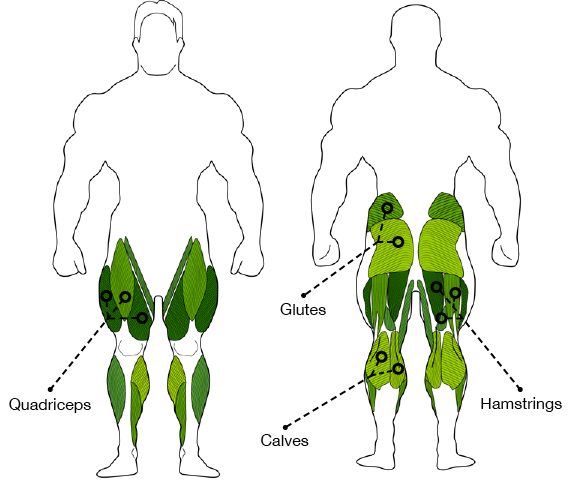 Complete all the reps with one leg before switching to the other leg.